EQUINOX products are researched and developed in its own facilities in the Czech Republic. 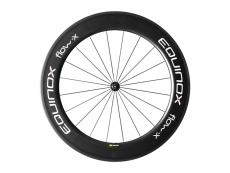 We import these wheels straight from the Equinox base so we can guarantee the immense quality of these wheels. 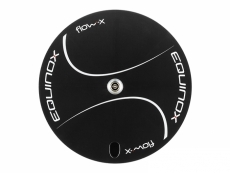 EQUINOX has frequently refreshed the bicycle wheel industry with new innovations, higher quality standards, ideas and concepts since its foundation in 1998. It is at the forfront of this industry, providing high quality yet affordable carbon fiber cranks. A promoter of carbon fiber seat posts, the first mass producer of the racing bike carbon rear stays, one of the initiators of the carbon bottle cages, the spreader of reasonably priced yet ergonometric monocoque carbon racing handlebars, and now, a competent manufacturer of carbon fiber rims and wheels in the world.